This last week has been quite a whirl-wind! 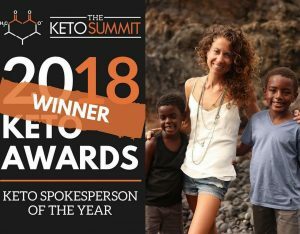 I have been helping out Craig as much as possible after his diagnosis of chronic Lyme, trying to get phone consults in before the holidays, recording podcasts and summits just about every afternoon, and my book Easy Dairy Free Ketogenic Recipes was delivered as well as my book with Craig called KETO. : The Complete Guide to Success on The Ketogenic Diet, Including Simplified Science and No-Cook Meal Plans was delivered! 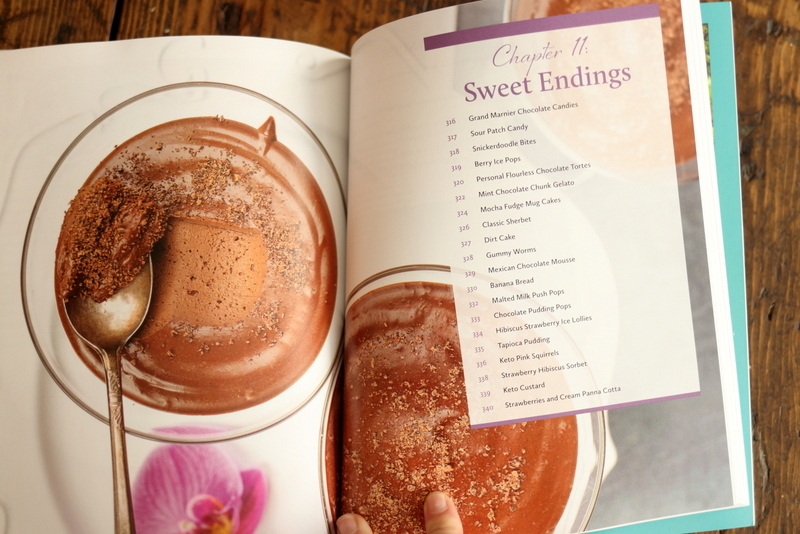 I do not know how it happens, but I think each book I write gets more beautiful AND the recipes get easier for you to be successful and make this a lifestyle! Maybe it is just the hard work that goes into them but I feel so grateful and happy when I hold my books close to me. I also notice this with my boys. When a book gets delivered, they seems to almost guard it; they do not want people to touch them. I think it is so cute because they respect and see how much time and effort goes into a project like writing a book and perfecting recipes (they taste everything I make to ensure yummy goodness in all of my recipes). I also have multiple recipe testers who ensure that the recipes are not only easy to do, but also past the yum-factor! 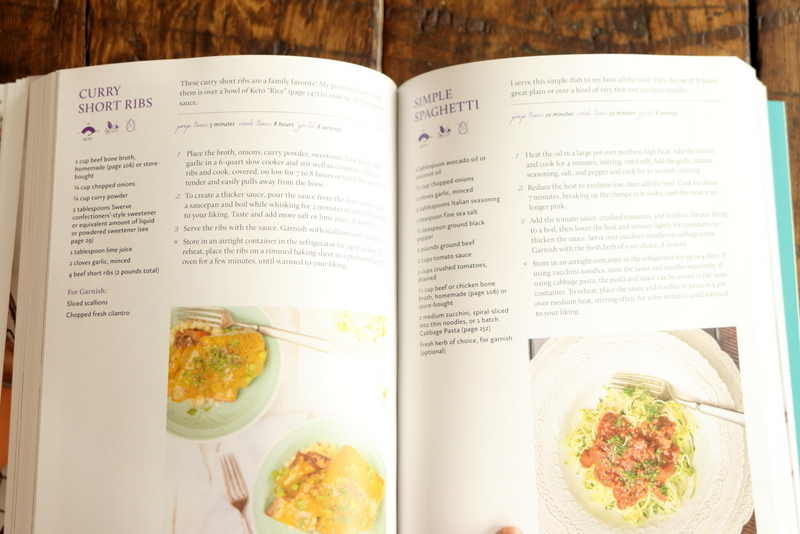 And YES… every single recipe is new and unique to this book, Easy Dairy Free Ketogenic Recipes! I never do the same recipes in multiple books. One thing I am often asked about are egg-free meal plans and Easy Dairy Free Ketogenic Recipes has them! 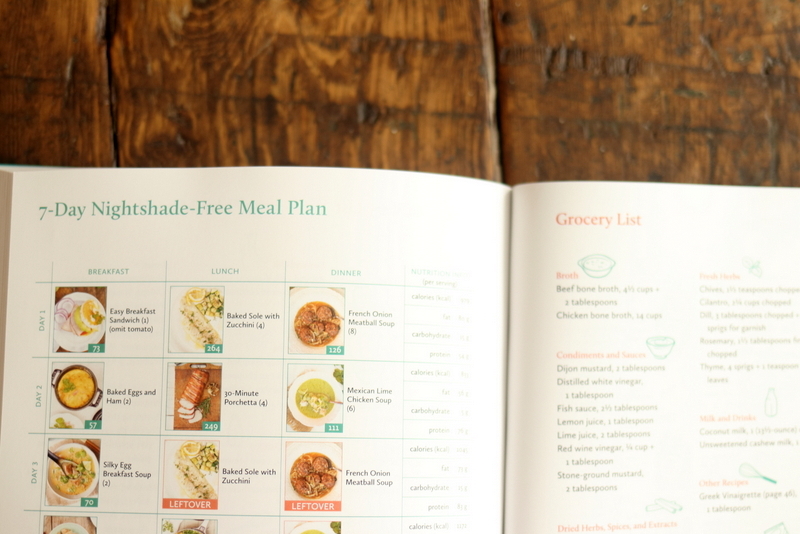 Egg-free meal plans with detailed grocery lists! 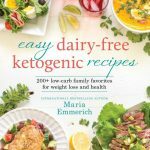 Easy Dairy Free Ketogenic Recipes also has Nightshade-Free meal plans and detailed grocery lists! Not only that, but I also have VEGETARIAN keto meal plans and detailed grocery lists! Yes, this book is not only filled with OVER 200 keto recipes, but it has meal plans and grocery lists tailored to your needs! 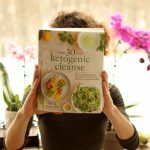 My heart and soul went into perfecting this book so YOU can be successful on your ketogenic journey! 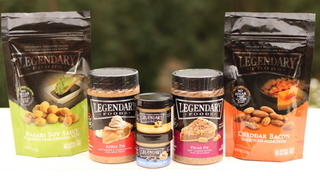 If you would like to WIN Easy Dairy Free Ketogenic Recipes, it is EASY TO ENTER! 1. 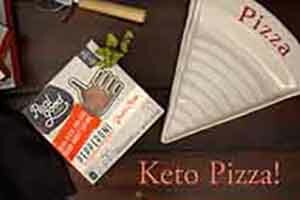 Like Keto Adapted on Facebook! 2. Share this post on your Facebook Wall! 3. Comment below on what your goals are for 2018! Winner will be chosen January 1st! And the winner is…. Irina Stiles!! Congrats! My family is very grateful for your love and support! I have been waiting for a recipe book that will help me edge away from dairy for a long time. This is going to be an amazing addition to your other books i already have. I can’t wait. This is perfect. 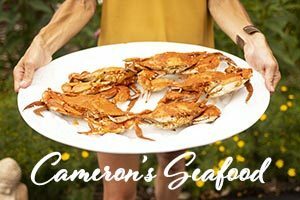 I’m dairy intolerant and have had a little trouble replacing dairy in some recipes. I would love this. Wow, This year I hope to get to my “fighting weight” and hoping to get pregnant. I Love your recipes. I just preordered the Keto: The Complete Guide book and I’m happy to see that you’re including vegetarian keto recipes! 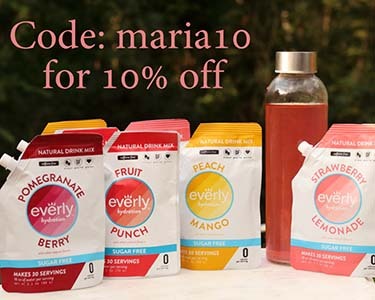 Thank you for making living this healthy lifestyle easier! Thank you for making Keto easier to understand and adapt to! My goals for 2018 are to start a dairy free keto diet and remove the inflammation from my body! After a discussion with myself, we’ve decided that 2018 is going to be a year that I begin to achieve my goals. I’ve slackened off a bit in the health/weight area and I realize that no one is going to do this but me. So with the new year, a better concentration on diet with supplements toward better health and the addition of exercise for toning and bone health. I hope that by this time next year, I’ll be the person that I want to be! I have been living the Keto lifestyle for 10 months now. I struggle with staying on track with the AIP and dairy free. I have it set in my mind starting Jan 1 that I will completely adhere to it. Your book sounds like it will definitely help me be successful! Thank you for all you do for us! I’ve got 50 to 75 lbs to go and want to start stepping away from dairy. I do own your other books and this one will make for a welcome addition and provide a roadmap to dairy-free. Love all your books, I’m sure this one will be no different. The ketogenic diet (along with your help of making it easy) has allowed me to lose 30 lbs in just a couple short months, I’m hoping by this upcoming summer I’m down anothe 30 with would put me at my ideal weight. Prepare my body for knee surgery by taking off weight and getting strong and healthy. Thank you. This book looks great! Your recipes are always fabulous! I feel I need to move away from dairy after a very long stall, now gained a little. This could help guide me. Thanks! To be healthy and lose a chunk of weight!! My goals for 2018 is to incorporate more dairy free recipes. I feel better doing keto. I still have some issues and I think if I go dairy free I’ll feel a lot better. Everything I eat has some kind of dairy in it. Goals for this year…move closer to my adult children, get healthy enough to get a job (too sick to work, too well for disability… TBI, recent mild heart attack and seizure) , and hopefully be well enough to become a foster parent again. I would love to win this book as raw goats milk is the only kind of dairy I can have and as I no longer have the land for a goat, I need to be dairy free. Having cookbook that has it mapped out and not trying to make substitutions would make it so much easier on me. Thank you for the chance to win. 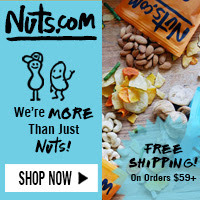 Just wanted to add that since your new cookbook is dairy free I can get almost everything delivered to my house and not pester people for rides to the store (doctor ordered no driving for 6 months). I have chickens for any eggs needed also. This is my goal as well. I am so excited about this book! It’s going to be a game changer for a lot of us! I already preordered but if I win, I would gift it to a family member or friend 💞 My goal for 2018 is to keep going on my Keto journey, add in more movement, and to reach my weight loss goal. With the help of your books and your amazing support group on FB, and my Keto family on Instagram, I know I can do it! This looks good! I’ve been keto since February, and in 2018 I’d like to lose the last 5 pounds and then continue to maintain. My three oldest daughters (19, 16, and 14) like the way I eat, and they tend to follow my menu. The youngest prefers to avoid dairy, so she’d love all these recipes. Awesome cookbooks and beautiful photography Maria! My goals are to continue to heal my body by losing more weight. I have reversed diabetes and I want to heal NASH (fatty liver). I want to stop sleeping with a CPAP machine as well. This is so great! I’ve been keto for almost a year, but I think I’ve developed a dairy intolerance. Thank you for your cookbooks…and the giveaway! My goal for 2018 is to lose weight and be healthier! My goals for 2018 are to figure out exactly what my body needs to reach optimal health. My body is releasing weight very slowly and after 10 months keto the energy and vitality I experienced early on has subsided. I feel that something needs to be shifted or modified but I’m not yet sure which direction to go. I dropped dairy for the most part but miss it, and this book would be an excellent resource for dairy free living. My 2018 goal is to lose some weight but more so to return to keto lifestyle because I feel great when I do. 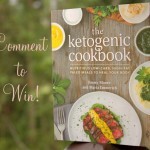 The book looks like an awesome addition to a keto lifestyle!!! Goals for the new year are to cook more, read more, get off all my medications, build more muscle, get to my goal size, and find a viable venue to hold classes in the dance fitness format I teach. Pre-ordered through amazon. Can’t wait to read it. 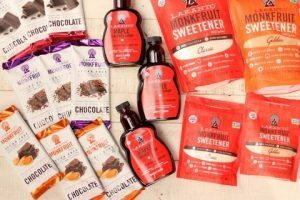 Really get in gear with Keto! My health goals for 2018 are to continue finding the best Keto fit for my body and to continue moving/exercising regularly. I want to get all of my health issues under control. Go on this website: alenov.com and learn about treatment for Lyme. There is someone is Wisconsin doing this with great success. I had put this on my Christmas list! 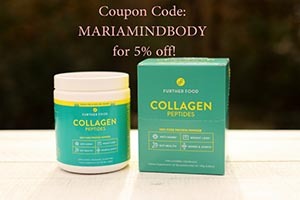 I love and use all of Maria’s books, but am very happy there will be a nightshade and dairy free recipe book available soon as I am on a Autoimmune Protocol food plan to help heal from Hashimoto. Thanks Craig and Maria for all your hard work! I’m going to restart Keto and stick to it. I was treating it like a Diet but need to realize it’s a lifestyle. After doing your 30 Day Cleanse, I discovered most dairy is not my friend. One of my 2018 goals is to eliminate dairy. So this book will be a valuable tool for achieving that goal. My goal is to be positive, follow the Keto wol, hopefully this will have a positive impact on reducing my anxiety & depression. My 2018 goal is to work on my core and muscle tone. I have been eating Keto for several year and done a couple rounds of the Cleanse. Love the cleanse! But now, I will need to recover after my upcoming hip surgery and tone up my core and other muscles to gain stability in my join and body. Thank you for all you do and the time and effort you put into each book!! Keep it up and I will be praying for your family as you find the best solution and help with Craig’s new diagnosis. Hang in there, God Bless!!! Goal for the New Year is to get back to my keto lifestyle. Lazy keto just doesn’t work for me! Wishing you a very blessed Christmas Maria, Craig and boys! So excited for more dairy free options- I’m pretty sure it’s not the best for me – but it has been hard to go completely dairy free. Very timely for me. I was just diagnosed casein and whey sensitive. Look forward to seeing these recipes. Goals are working toward being able to say I am no longer a diabetic. A bigger challenge now, since recently diagnosed sensitive to casein and whey. In 2018 I am committing to making a ketogenic diet a lifestyle and not a diet. I have severe inflammation when I eat carbs. When I eat a ketogenic diet the inflammation goes away and I feel great. I need to learn to balance my veggies better. Sorry to hear of your husbands Lyme diagnosis my son has it also. He did colloidal silver and helped him. Good luck with which ever treatment you chose. My goal is to continue healthy eating. I already have liked your page. Getting ready to share. My MAJOR goal for this year is to lower my A1C. I have been struggling with keeping my A!C in control through just diet and exercise. Was race walking 5 miles per day. Woke up one morning and can’t even move my right arm behind my back. A few rounds of PT that did NOT work. I have decided that THIS coming year Im going to keep going to different people till I can figure out whats going on. I REFUSE to give up. So sorry to hear about Craig’s illness. I wish the best for you and your family. I’m trying to eat fewer sweets this next year. I find I feel a lot better when I haven’t eaten sweets. I can still square dance, and I want to keep it that way. My goal is to lose 10 lbs. that I have put on ! I do eat healthy but every once in a while I cheat. Now I’m paying the price. I’ve lost 70 lbs and now I’m stuck. I’d like to lose 20-30 more! I think it’s time to go dairy free. I’ve run into many people with sensitivity issues to dairy, eggs, and nightshades! I can’t wait to get this book! Thank you!! One of my goals for 2018, is to continue to eat Keto/low carb to manage my medical condition and to try to lower the carbs my husband and son eat. I’m all set to start the cleanse Jan 2nd. Very excited! I’m planning to do a year of keto, lose some weight, and exercise consistently. Organization is huge to accomplish this with kids!! Oh, forgot to mention how excited I am to learn some vegetarian keto recipes too! My goal is to have my 7 year old T1D completely dairy free and remain at a 5.0 a1c! One of my 2018 goals (and it’s a big one) is to do whatever is needed to restore my health, so I can move into retirement vibrant and healthy. 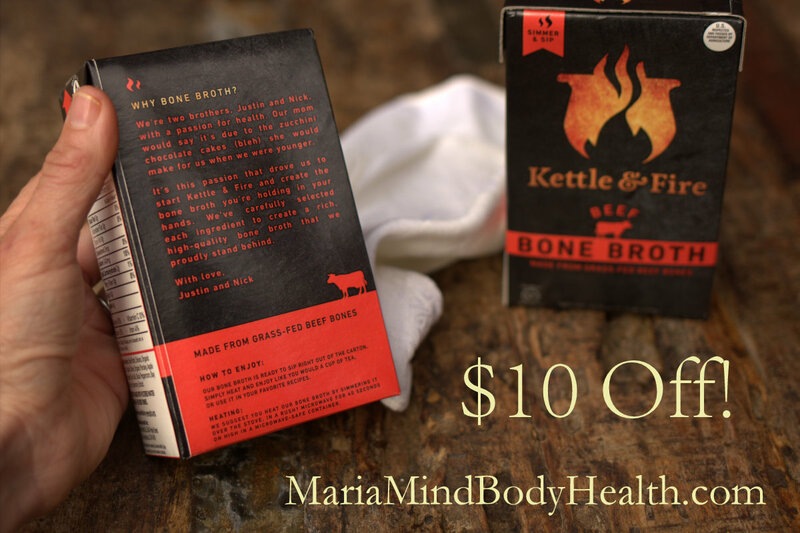 Part of that goal requires restoring balance to my thyroid, hormones and adrenals, as well as, managing chronic SIBO symptoms. I want to re-start my keto journey as my dietary choice because when I’m in ketosis, I feel amazing. 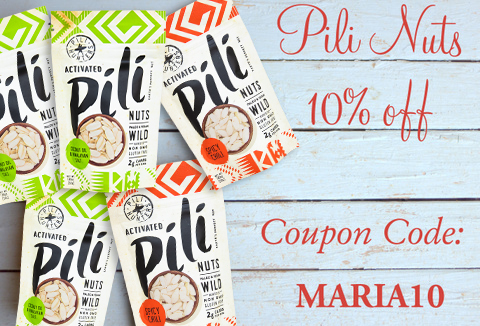 Perfect comb… Maria’s recipes and dairy free! My hope for 2018 is to get better and better at this keto lifestyle. Health, energy, happiness and love. I’d love to be happy and healthy in 2018. I have Hashimotos so would like to try and get that under control and actually have the energy to do more! My goal is to keep eating keto, exercise and keep the weight off. My goal is to start some excercise finally! My goal is to focus on being healthy; not losing a certain weight number but being healthy so I can have energy to play with my kids. I didn’t think dairy free was necessary, but I am finding that dairy foods really aggravate my reflux. Dairy free recipes are hard to find. I am within 2# of goal wt. at this point. I too need to exercise to try and get rid of the 2 C/S (and too many carbs previously) belly. I have all the cookbooks and love them. To get even healthier this year. Can’t wait for the new books. Detoxing from dairy until spring (please God not forever)… has already helped me feel better and start losing again. Can’t wait for this book and more options to satisfy and distract my tastebuds. My goal is to re-enlist in the Air Force Reserves to finish my 20 years total and retire. 49 and it is time! I would love to win! Of course.. 😀. My goal is to take my ketogenic diet to a new level, for better health. Doing more dairy free schould be a great way to achieve that goal. The boys are really growing. I put in for my pre-order can’t wait to get them. 60 lb down since April. My goal for 2018 is another 60 lb down. So far so good! My goal for 2018 is to get rid of the toxins out of my body. Cut back on my dairy because I was allergic as a child. Hope to lose more weight stuck at plateau right now. Basically get healthy! My goal is to keep losing weight and to keep myself from going diabetic. I have lost 30 pounds so far and went from pre-diabetic to no longer in the danger zone. Feeling some difficulty digesting dairy I think the recipes in this book could be very helpful. Every recipe of yours tastes fantastic! My big goal is to lose weight and get healthy for 2018. This recipe book looks great! I want to go dairy free also. This will be my 5th and favorite cookbook of yours. Everything gives me hives it seems; dairy, nuts, supplements… maybe it’s nightshades/eggs too. Chocoperfection/gas. I feel so desperate to figure out what’s wrong with me and hope this book helps. 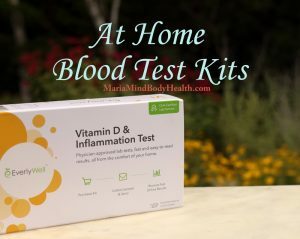 To continue to improve my and my husbands health. My goal is to continue with a low carb-high fat lifestyle along with exercise, to continue taking off excess weight. I know this will take most of 2018, but it took years to put on the pounds, so I’m patiently working to take them off. This journey/lifestyle change has also been beneficial in addressing other health issues. There is greater hope for a more enjoyable retirement phase, with more energy and a more comfortable body with which to experience it. So looking forward to the newest cookbook!! I truly need more dairy free recipes. My goal for 2018 is to heal my inflammation, I want to lift my left arm without pain, be able to WALK without pain and be active again. To balance my hypothyroid and feel good again. I truly miss this. I think of all the things I intend is to handle stress better, I have always admired those that can seem to glide through it all and not completely fall apart. I’m fall apart rabbit right now. I need to trust more and know that my kids lives are theirs and that all my love cannot heal what they need to go through. We went through a suicide attempt and I think it left us with a knee-jerk fear response that is difficult to let go of. I seem to have a tremendously difficult time trusting the process of life. So THAT is my goal!!! To trust the process of life and allow!!!! Thank you, Maria!!! You are a tremendous source of inspiration!!! I wish your husband the best in his healing!!!! Wow, looks great. Hard to find good cook books for those of us with many allergies. I was disappointed by some. What about your vanilla ice cream recipe that I love. Is there a dairy free version? 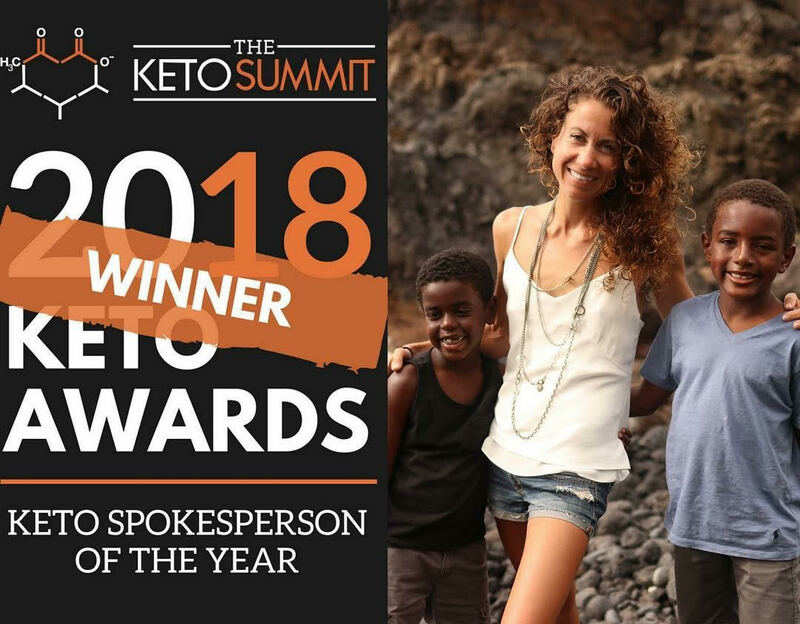 2018 goals… to subtly introduce the keto lifestyle to my family. My husband has decided to become free of sugar as his father was diagnosed with cancer (and becoming sugar free has kept it away after treatment) , he’s also dairy free. I’m coeliac and dairy free so keto works well for me. Fasting is another goal. I’d like to use IF and EF to become a better me mindwise. Hopefully this book will be out on kobo, as I’m forever referring to the others on kobo! I just discovered you on the KetonSummit and signed up to get your newsletter. 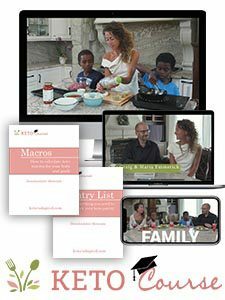 I am excited to try out some of your recipes as I have a difficult time finding things my kids will eat along with me. 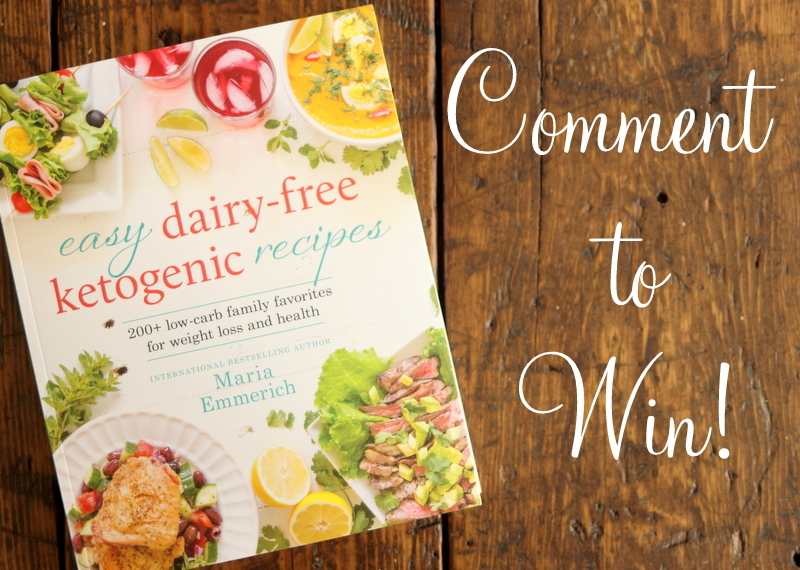 I would love to win your new dairy free book. You have the best recipes! My goal is to be pain-free. I love that this book is dairy-free, since I can’t eat dairy. My goals for 2018 are to get back on track and be fully keto again. Sending prayers for a 2018 filled with healing and joy – my goals for the year are to increase my clarity, try some of the great new recipes in your books and drill down to good health! I am going to lose weight so I can wear my size 6 clothing. Can’t wait for the dairy and egg-free meal plans!! My goals for 2018 are to get my family on track with the Keto lifestyle AND to get my MOM and youngest brother on board also!!!! My goals are to continue Keto and to reach my weight-loss goals! Hi Maria and Craig (and Boys! ), I am sorry to hear of the Lyme diagnosis. I think though that there are so many people with it, that this is going to be a story of Pain to Purpose. I feel that way with my own journey. And your meals and education have been a huge part of my story! I now treat for parasites and heavy metals (had about 20 amalgams removed in 2009 and am about 5 months in to using DMSA and ALA under the guidance of my practitioners) as well as heavily support my detox pathways (drainage AND detox, two different things). I know my goal for 2018 is to share more of my story to help others. I also have a goal of fasting nearly every week for 40-72 hours. Take care, and I would love to win this book to support my families dietary needs. Thanks! I am so thankful to Maria for her books. I am soaking up so much information from the Keto Cleanse book that I purchased 2 more for my daughters. I am looking forward to her other books! They are packed with suggestions and what is more suggestive and motivating that seeing the beautiful pictures of what your results might look like. My goal it to continue my journey by soaking up all the information she gives in order to get my body and mind in the healthiest condition possible. My goal is to have more energy and to lose more weight. Feeling much better now having been on the 30-day cleanse since Oct. 27th. THANKS!! So looking forward to this! Your recipes are really helping me with this transition to heal her eating! My goal for the new year is, to keep losing my belly fat, with keto! And advance my yoga work for flexibility! I am just beginning to learn about the keto way of eating. I’m learning all I can now and plan to start after the holidays. New beginnings for the new year. Congratulations on your new books and thanks for the inspiration. This will be a another great addition to my Emmerich collection. My goals for 2018 are to be consistent… making a decision ONCE. I will continue what I’ve started with learning to eat clean and low-carb (the learning curve is big and I’m trying to find new recipes) and also doing DDP Yoga which I’ve fallen in love with! Wonderful! I’d love to try these recipes. I feel so much better when I’m dairy-free. Are the egg free recipes also dairy free? Or is there separate set recipes for dairy free and then egg free! Thanks! I would like to really commit to the keto diet. It has been difficult so far. I love all of Maria’s Cookbooks. Would love to have this new one. Goals for 2018: Keep getting better at keto!! Goals for 2018: Reach my goal weight and learn to maintain! I have been Keto for 3 years and your cookbooks are my favorite. I get excited when you have a new release. Thank you Maria. 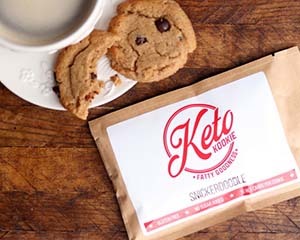 You make Keto so easy! I recently bought your Cleanse program and am looking forward to starting it in the next few weeks. I have a lot to heal in my body. I have been doing this woe for 3+ months and have only lost 6 pounds. I have food sensitivities and dairy is a BIG one. Looking forward to this book. Thank you for you do, Maria. I like dairy, I eat dairy but it is oh so good to see recipes that do not use dairy as it feels refreshing not to eat it so often. 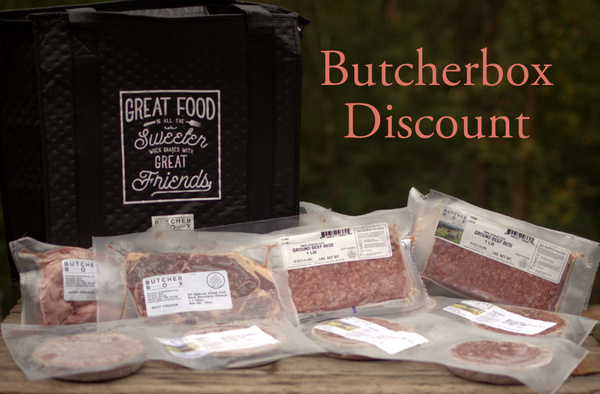 This will give me a new outlook on my Keto journey and your recipes are always delicious and much appreciated in our British household. Thank you for sharing so many recipes with us for free too. I just started keto at the beginning of this month and I’ve already lost over 16 pounds. Only 234 more to go. I have your Restaurant, Comfort Foods, and Quick and Easy cookbooks and they have most of the recipes I want to try. One problem I am finding was partially addressed in the Quick and Easy book-cooking for one. It’s just my husband and me and his endocrinologist doesn’t want him eating the fast levels in keto eating. 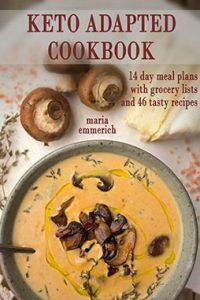 I have close to ten other keto cookbooks and most of the recipes serve 4-6. Even most smoothie recipes are for two or more servings. Since the recipes are from scratch without preservatives, they don’t keep all that long even in the freezer. I can’t eat six servings of something before it goes bad in three days in the refrigerator. I’m good at math and measurements and can adjust the recipes down but it is tiring to do so every time I cook. 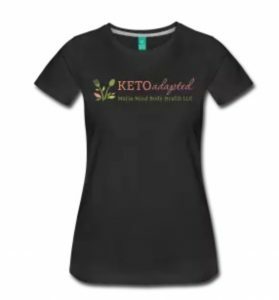 I know you are feeding a whole family, but have you considered writing a Keto Cooking for One or Two cookbook? I bought my mom a diabetic cookbook like that and she loves it. My 2018 goal is to continue learning more about Keto. I have lost 40 pounds so far but have a long way to go. Dairy may be part of my issue. I also have a granddaughter that is HIGHLY allergic to all dairy products. This cookbook would be an awesome resource for her as well. 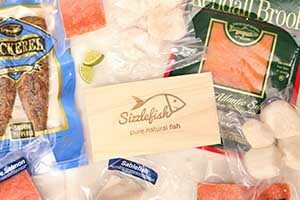 My most recent purchase was Restaurant Favorites. My goal for 2018 is to eat healthier. This book is perfect. I recently found out I’m allergic to dairy so I can’t wait to try these recipes. My 2018 goals are to stay healthy and stay Keto! And to read Maria’s two newest books! My 2018 goal, Live the rest of my life pain free, emotionally and physically! To grow healthier every day, to sleep soundly every night, to have more energy and be completely medication FREE! My goals for 2018 regard taking control of my health. After burying both my parents this past year (my father died from complications of Abdominal aortic aneurysm surgery, and my mother died of metastatic kidney cancer that traveled to her liver and brain), I have decided this is the year that I change my unhealthy eating and habits. I already have liver/kidney issues and do not intend on suffering as they both did. I am looking at 2018 as the start of my new life! My goal for 2018 is to successfully follow the keto lifestyle and I’m looking to rely less on dairy. My goals for 2018 are to be consistent with keto, lose 30 pounds to, keep decreasing my a1c to 6 or below, currently 7.8 from 10.9 in March. To fine a better alternative than prescription meds for my gout, uric acid levels currently 4.2. Be more active and take charge of my health and wellness. Not to depend on my current 13 prescriptions plus 4 over the counter meds. I have a goal to get into great shape so that I can spend more time having fun w/ my family! 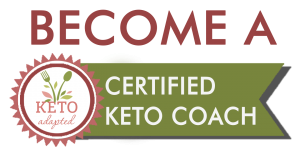 I’ve been keto for 2 years but now on paleo AIP for autoimmune thyroid issues. Can’t wait to check this book out!!!!!!!! Focusing on my family and our nutrition together. My goal is to go dairy free. I’m not sure what my goals are for 2018. I have trouble figuring out such things. I’m not ready for keto yet, so my immediate goal is to lower my carbohydrate intake. I’m doing 6 wk dairy free starting next week, I lose weight faster that way, and it usually resets my system to better dealing with food in general. I want to continue to lose weight to be healthy! My goal for 2018 is to get my whole family sugar, wheat, and diary free. I have a son with Type 1 diabetes and a daughter with severe digestive problems. We are already 50% sugar and diary free. Your blog and recipes give me the courage to press on. 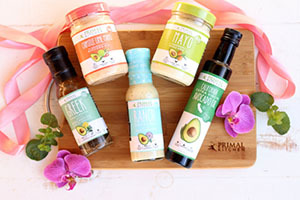 My daughter will be a wife soon with her own children one day and I would love to give her your diary free Ketogenic cookbook to start her marriage and new family with healthy alternatives to diary, wheat, and sugar. I absolutely love your recipes. I just had bariatric surgery and want Keto to be my new way of life. My goal for 2018 is to lose 100 lbs. This book would help me greatly. My 2018 goals are to get healthier. 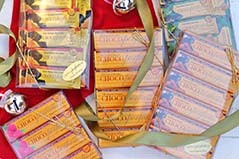 Your blog & cookbooks help to set all of us up for success! Thank-you! Love your recipes, your cookbooks and your sweet family. My goal is to stay on Keto and lose another 25 pounds. One year on Keto coming up March 2018! Progress not perfection. 2018 goals are to lose weight and eat healthier, thanks fro the chance to win your book. My goals for 2018 is to get healthier and to become a better me. I have baby weight that have been trying to lose for so many years and it just will not budge. I recently started Keto this month and am already done 7 pounds but that is only a little of what I want to lose. This book would be such a blessing and guidance to me for success as I am already feeling so much more energy and not as bloated in the 3 weeks I have been doing the Ketogenic diet. Thank You!! I started my keto journey last April. I’ve lost 25 lbs and would like to lose at least 15 more. I’ve been wondering if dairy was my issue. We eat a lot of cheese and cream in my house. 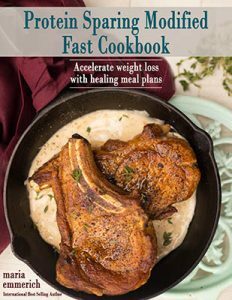 I just recently gifted the first keto cookbook I purchased to my dear friend that is prediabetic and has fibromyalgia, “Quick and Easy Ketoginic Cooking.” I think it will help her. I know it helped me! My goals for 2018 is to lose weight and get my diabetes under control. My 8 year old was recently diagnosed with a huge egg allergy. Before this we were all trying to do low-carb, but now without eggs, it’s really felt limiting for him. I bought your ketogenic quick and easy book, which helped my transition initially, and then ketogenic cleanse more recently looking for more easy recipes, but was a little disappointed there were so many egg recipes! 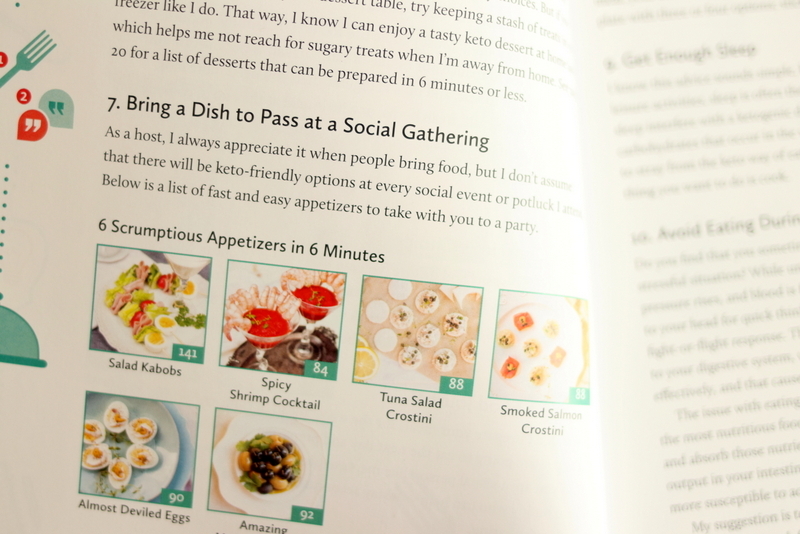 I’m so happy to see an egg-free section in your new book! yay! I also have been have been trying your alternatives to eggs when you’ve offered those in your books, just to save on cooking another dish! I look forward to checking out this new book. Thank goodness he’s back on dairy, because egg-free, gluten free and dairy-free was killing me for a few months! Love all you do! Thank you! I love your blog, your FB page and have 2 of your cookbooks. I would LOVE this one as 2 of the family need to be dairy free. Thank you!!! I love your recipes!! I know when I finally decided to try some of your dairy free recipes form the other cookbook, I started dropping inches very fast. I would love to add this cookbook to my collection. Another great one to add to my collection! My 2018 goal is to work out more indoors during our winter months and get outside more in the nice weather…go camping with our family more. To be more organized and severely limit my screen time (tv and phone)! I found out in 2017 that I have a dairy allergy. I want to learn how to make delicious and healthy food to help heal my body. If I lose some weight too, bonus! My goal for 2018 is to maintain the weight that I have lost, plus eat dairy-free now that I know that it really causes eczema in me. The new recipe book looks amazing – would love to win it and try the recipes. Need more options for no dairy so this would be prefect. We as a family have decided to commit to your keto cleanse for two months starting next week praying it pushes us to the next level. Can’t wait to see and feel the results! Thank you for all that you do. You an your husbands passion is helping so many people. Praying many blessings into your family. Oh Maria, I’d love to win this book! i’m going to try really hard to go dairy free for a month as per your cleanse. For 2018, I plan to continue my Keto lifestyle, maintain my 40 pound weight loss and start exercising again!! Tried to start keto…..life got crazy…..wanting to start over in 2018! I’m so excited to get started on a keto diet!! Do you know if the Dairy-free cookbook will be available at Costco?